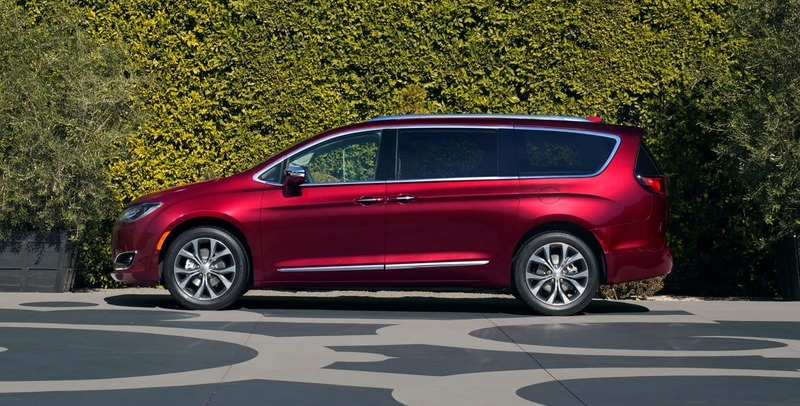 Let's get into the details as well as the overall greatness of the 2018 Chrysler Pacifica minivan! The Pacifica transforms into a mobile entertainment platform, a cargo van, and a reliable passenger ferrying system at the drop of a hat. Up to 8 people can fit in a 2018 Pacifica (minus the Hybrid and L model) if setup for that, but usually it can fit seven regularly. The base L model is new for 2018, as are the ravishing Copper Pearl Coat and Ocean Blue Metallic exterior paint choices. 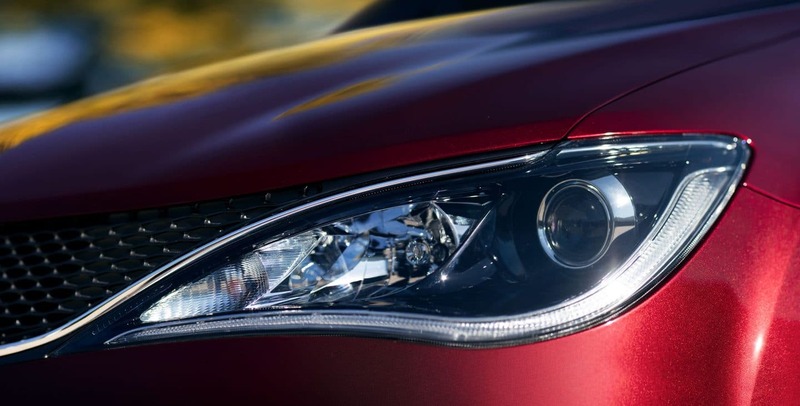 The Pacifica has great amenities such as a rearview camera, a standard locking glove box, power second-row windows, and can have a Deep Mocha-colored leather with stitched trim. But it doesn't stop there, the Pacifica seems to keep bringing the value the more you know about it. What is under the hood of a 2018 Pacifica? All Pacifica models in 2018 see a 3.6L Pentastar V6 gas-powered engine that makes 287 horsepower and spins 262 lb-ft of torque. 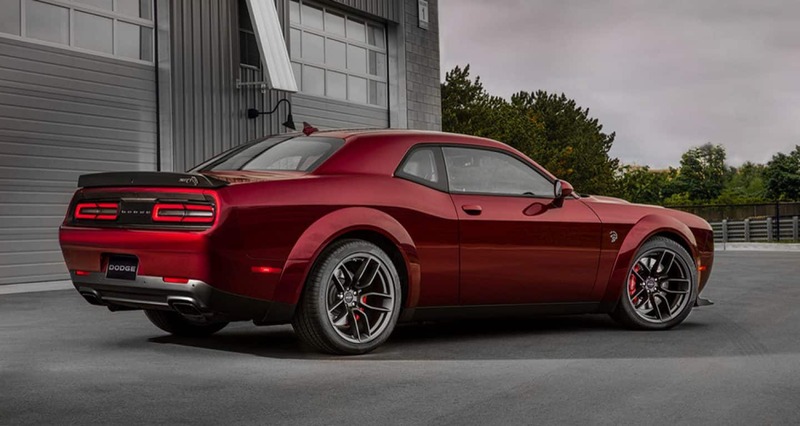 This engine gets partnered up with a TorqueFlite nine-speed automatic transmission. All Pacifica models make sense as front-wheel drive configurations, and an Engine stop-­start function is also standard on the LX, Touring Plus, Touring L Plus, Touring L, and Limited models. The hybrid version is manufactured in the Touring L, Limited, and the Touring Plus and all seat 7 occupants. A gas-powered 3.6-­L Pentastar V-­6 EHybrid engine is located within and is put with the single-electrically variable transmission (si-EVT) called EFlite. A 16-kWh lithium-ion (96 cell Li-ion) high voltage battery pack and this transmission work well together to expand fuel economy easily. The hybrid earns 84 MPGe and has an electric-only range of 33 miles. Of course, a 566-mi range is attained when utilized with both gas & electric power, which is quite high! What are the features I keep hearing about in this vehicle? 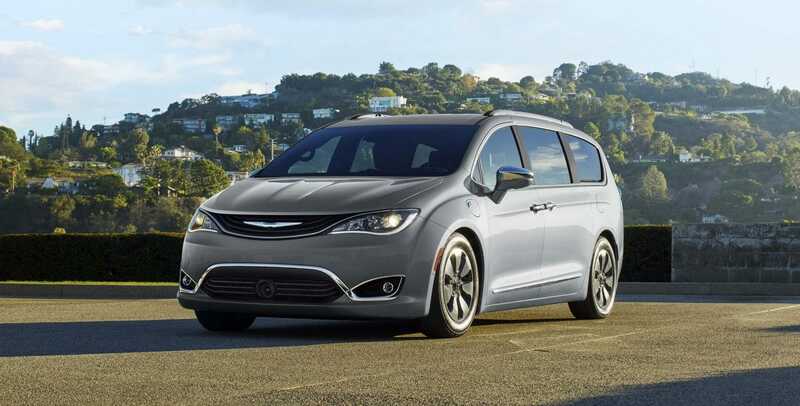 The 2018 Chrysler Pacifica comes in six concentrated trim choices: L, LX, Touring Plus, Touring L Plus, Touring L, and the Limited. 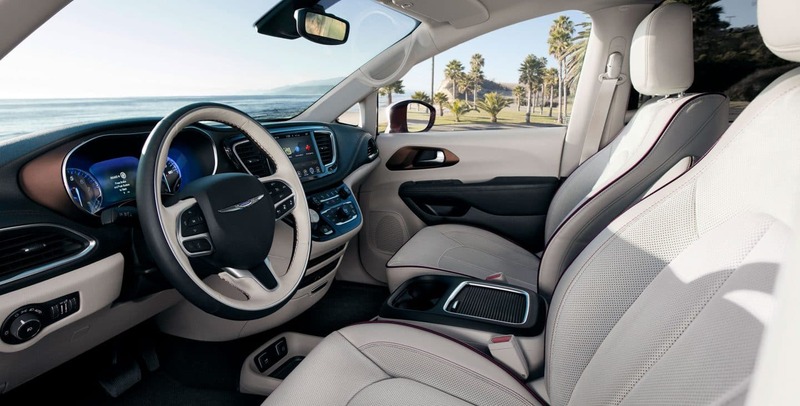 Revel in the fact that the Pacifica can obtain third-row folding seats and also identical second-row seats that go completely into the floor- a popular feature named Stow 'n Go. The initial L trim is standard with 2-zone climate control (tri-control obtainable), 17" steel wheels, keyless entry (for driver door) & ignition, a USB/aux jack within a 6-speaker audio system, heated mirrors, and Bluetooth. The Pacifica LX rocks those folding second-row Stow 'n Go seats, has a body-colored outer trim, alloy wheels, and a driver info display. 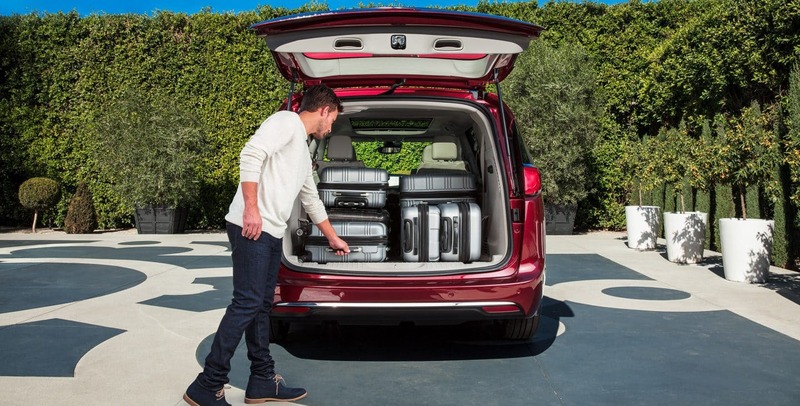 The Touring Plus has accommodations such as full keyless entry, LED taillights, and a power liftgate. On that same Touring Plus trim the 8.4-inch touchscreen has an option for a rear-seat entertainment system with a DVD player (also an option on the LX and Touring L models). 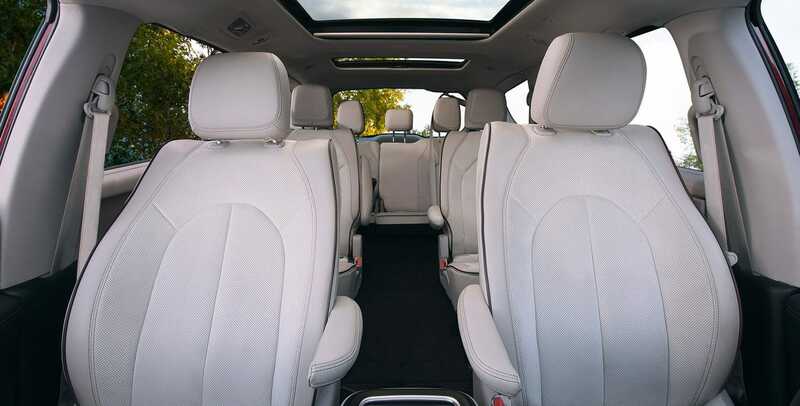 Heated front seats with leather upholstery are all found standard on the Touring L model. Going over to the Touring L Plus, look for features such as a heated steering wheel, an 8.4" touchscreen, and the thirteen-speaker Alpine audio system. The Limited trim starts making thing even nicer somehow with a Blu-ray player, LED foglamps, driver memory settings, xenon headlights, and the Stow 'n Vac integrated vacuum! 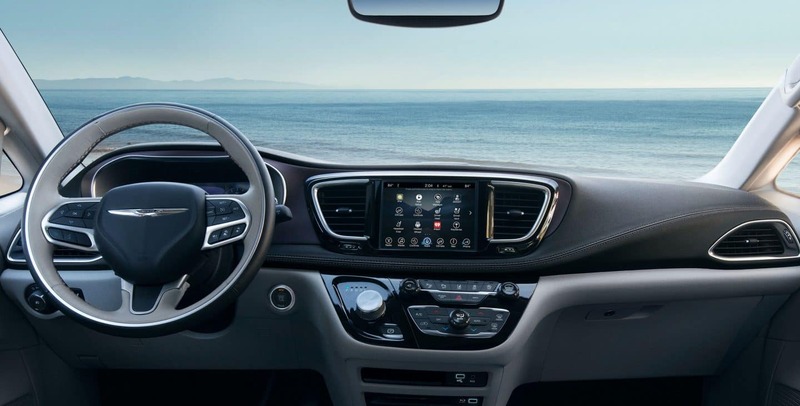 Apple CarPlay and Android Auto is found standard on all trims, as is an exceptional Uconnect infotainment system, and blind-spot monitoring. Buyers will enjoy that they can acquire a sunny tri-pane panoramic sunroof (on Touring L Plus), handsfree sliding doors, a Harman Kardon 20-speaker system, LED taillights, Keysense, driver memory settings, and a foot-motion activated liftgate! How is the 2018 Chrysler Pacifica on safety functions? There is a ton of safety on this vehicle! Standard on all Pacifica trims is Advanced front multi-stage airbags, the LATCH system, side-curtain airbags for all 3 rows, electronic stability control, and a tire-pressure monitoring system. 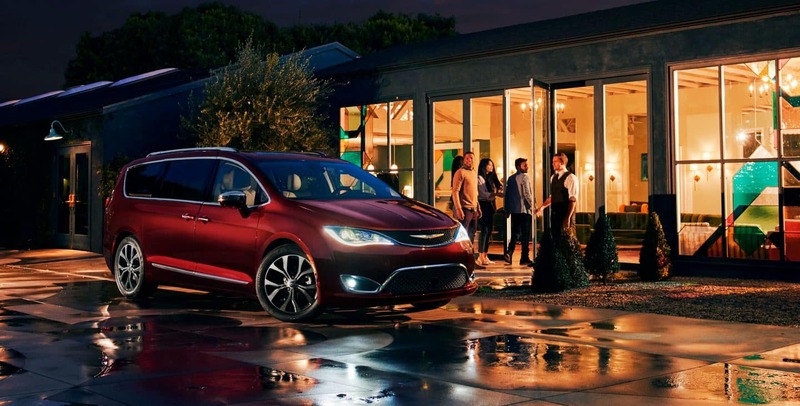 The Chrysler Pacifica has over 100 standard and optional safety points, some of which are Forward Collision Warning-Plus, ParkSense Parallel/Perpendicular Park Assist, an Adaptive Cruise Control with Stop & Go, and a camera with 360-degree Surround View. The "Advanced SafetyTec" package puts in front parking sensors, automatic high beam control, adaptive cruise control, lane departure warning, an automated parking system, a forward collision warning with automatic emergency braking, more! Further, owners can get (on every model), the KeySense system which works to adjust power levels proportionately for valets and beginner drivers. 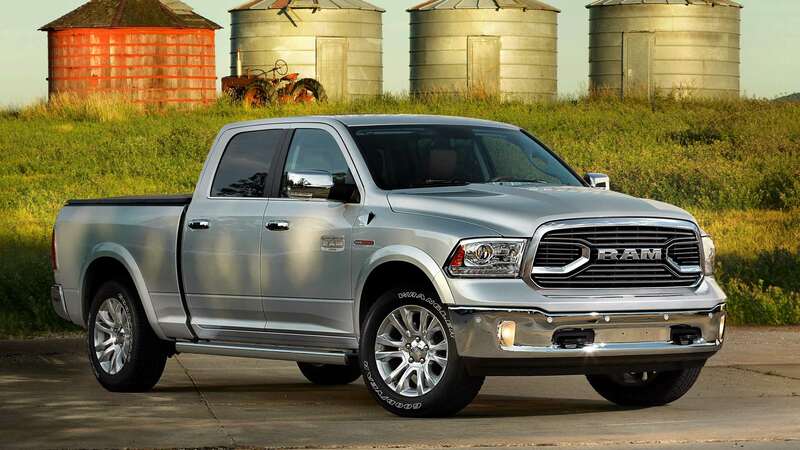 This is a breakout vehicle for Chrysler, and its drivers are reaping the huge rewards. It's popular certainly due to its utility, feature-rich functionality, and fuel economy achievements. 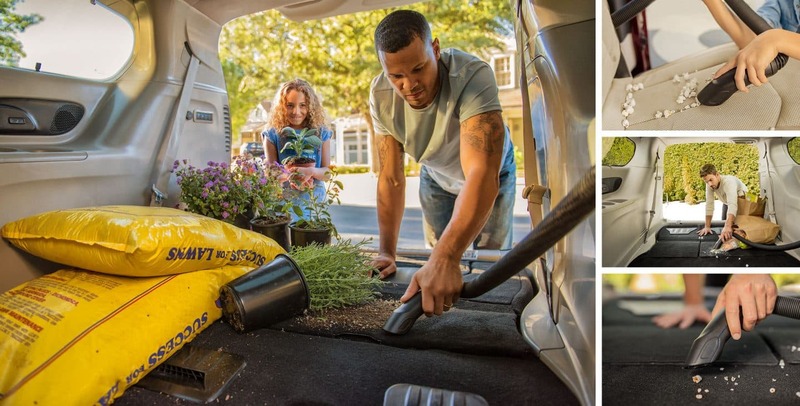 If you want to know which vehicle to look into for families, small sports teams, and transporting home essentials-- this is the one! Definitely look into this great vehicle with us, go ahead and give us a call at (888) 785-0431 today!